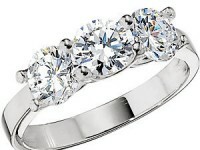 Ring has 134 pieces Machine Cut Brilliant Sparkling Cubic Zirconia's. Approximate top design dimensions: 3/8 inch x 3/4 inch. 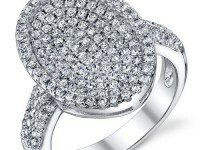 Ring features exceptional Design, Craftsmanship and Finish. Perfect gift for Mothers Day, Birthdays, Valentines Day, Graduation, Christmas or just about any other occasion. Visa, Mastercard, American Express, Discover and Diners Club payments thru Stripe. Payments is expected immediately upon purchase of all items. Items will be shipped within 7 - 10 Business Days after receiving cleared payment. Paypal is our preferred method of payment. Shipping: All orders are processed after cleared payment and usually shipped within 7 to 10 Business Days; however, there may be times that a popular item may be back ordered. In this case you will be notified and have the option of waiting for the item to come back into stock or receiving a full refund of your purchase price. You will also be notified of any delay in shipping. Please remember some items may be shipped directly from the manufacturer or the distributors we contract with. If your order is a “Special Order”, shipping can take up to two weeks, depending on the season and how long it takes for the manufacturer to make your item for you. (Remember “Special Order” items are non-returnable and non-refundable, since they have been custom made for you). Tracking: When your item is shipped, you will be notified and provided with a tracking number. Please remember, you will be kept notified of the status of your order, delays, problems, or back ordered items. **If you need an item right away contact us about expedited shipping at the time you place your order. (Expedited shipping charges will apply and be extra). Most orders are shipped by USPS Priority Mail (3 to 5 days) after receiving cleared payment, and after the item is received by us thru our manufacturer. We stock certain popular items, but do not stock all items we offer for sale, some are ordered thru the manufacturer or our distributors at the time of receiving your cleared payment. Item are usually shipped within 7 to 10 business days. Return Policy – We stand behind every purchase with our Guarantee Of 100% Satisfaction. If you are not completely satisfied with any item you order, we will either replace it or provide you with a full product refund within 30 days of your order, excluding original shipping and handling charges & return shipping charges. You must notify me within 10 days of receipt of your item with your intent to return it and obtain a return authorization or your return will not be accepted. All items returned must be in new, unused condition in original manufacturer’s packaging. Credit will be issued on the returned item for the original purchase price only. (We are not responsible for Return shipping cost). Please read item description for more specific information on Returns. 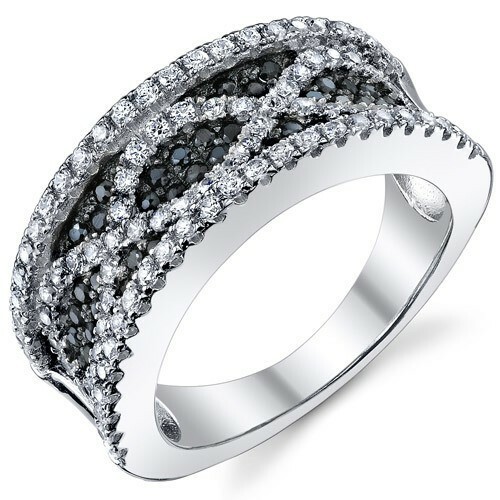 Always contact us prior to returning an item at returns@diamondstarjewelry.com or diamondstjewelry@aol.com before returning an item for further instructions and the Return Shipping Address and if needed a Return Authorization Number. Once the item is received, your refund will be processed minus Original and Return Shipping Charges. If item was paid through Paypal, it will be refunded through Paypal. Any item returned after 30 Days will not be accepted and returned to you. Custom sized rings or any “special order” item that has been specifically sized or made for you is non-returnable & non-exchangeable. All items marked “Limited Quantities” or “Special” and “available while supplies last” are also non-returnable. happy to help you find what you are looking for. expectations, but if for some reason it does not, we'll be happy to take it back. 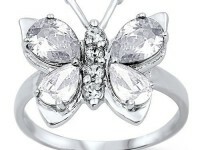 support@diamondstarjewelry.com) at any time during your shopping experience. We will usually reply within 24-48 hours and will be happy to help with any questions or concerns.